Books bring me joy. I'm sure that's not a surprise. Holding books, smelling books, reading books, blogging about books, talking about books, and yes, standing in a bookstore. It's all good. But there is more to happiness than just books, right? 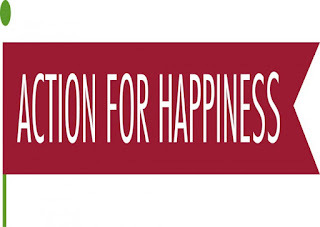 I just read about Action for Happiness on Bonnie's blog and I love the idea of mindful happiness every day. 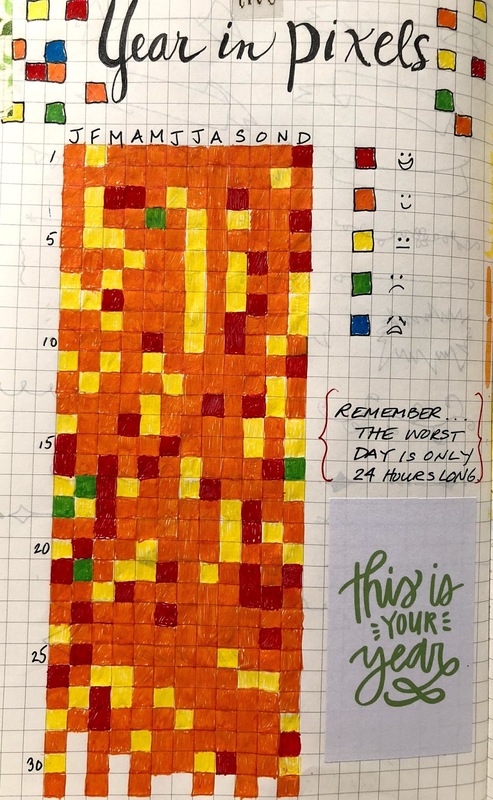 I have been keeping a bullet journal for just over a year now and one of the things I do at the end of every day is write down one thing I am grateful for. It's a wonderful way for me to finish the day. 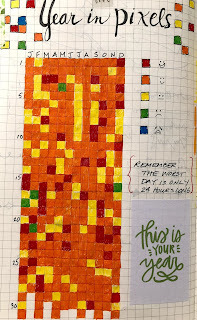 The other thing I did for 2017 is the "Year in Pixels" where at the end of each day I color a square corresponding to how I feel the day went. It felt so great to look back on the year and see what an overall positive experience it was. I have chosen different colors for 2018, but am definitely going to continue doing this. Anyway, back to the Action for Happiness. 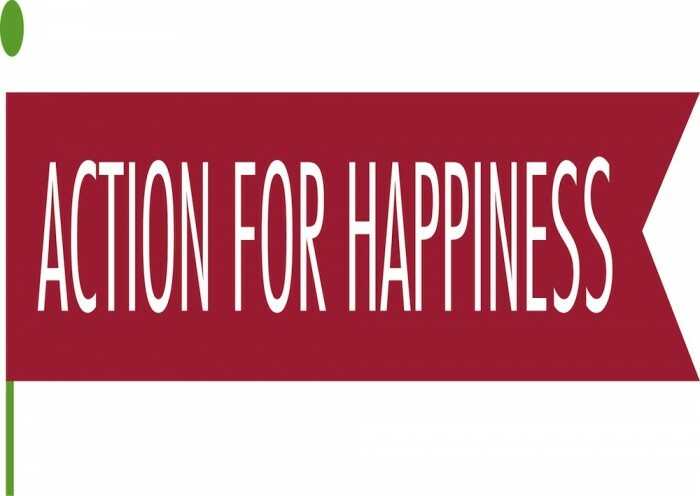 It turns out it is a British group whose patron is the Dalai Lama. What better patron could there be for peace and happiness?! Here's a brief video with him about the group. 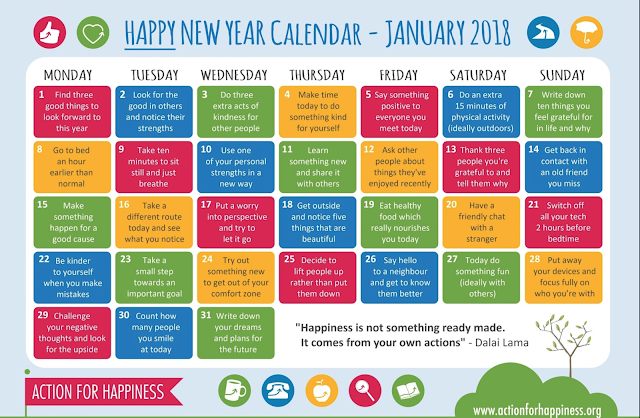 One of the free things the group offers is a monthly calendar of positive/happy tasks for each day. I am going to see how I do with these activities because I can always use a little more positivity in my life.